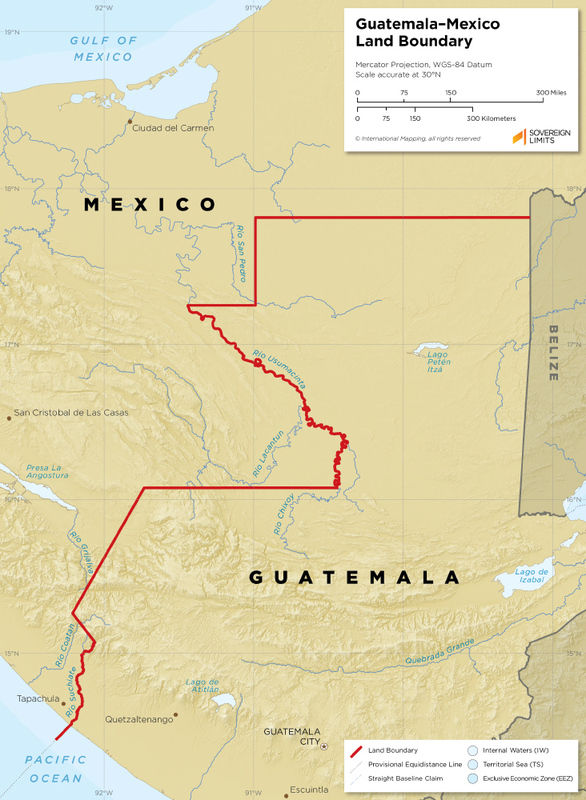 The Guatemala–Mexico boundary extends for 981 km and follows a series of geodesic lines, parallels of latitude, and rivers. An 1882 treaty first established the border, and it has been bilaterally reaffirmed since, most recently in 1990. 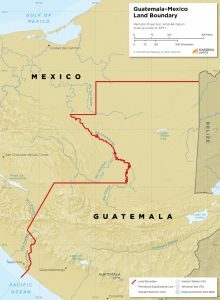 The two countries do not dispute the boundary, and a joint commission regularly inspects border areas.